Get ready for that big night out with your bestie. 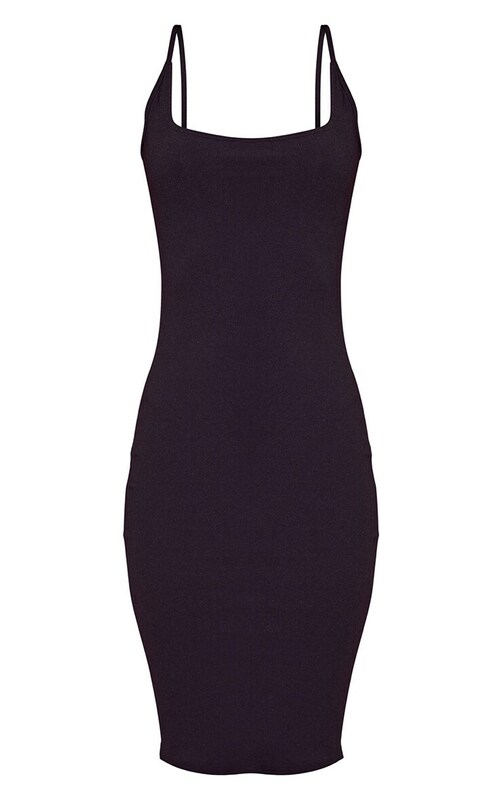 Featuring a black material with a square neckline and thin straps in a figure-hugging style. Team with black strappy heels and a bold clutch for killer look.